I made a few more recipe modifications for the next trial and BAM, I got the best cupcakes in the world! Okay, that might be a controversial statement, especially in my household. My mother, sister, and I loved these cupcakes, but my father was undecided as he could detect the quinoa flour. Straight out of the package, quinoa flour has a pretty strong grassy smell. 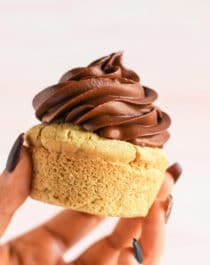 After baking, it has somewhat of a bitter flavor, but as long as you counteract it with a sweetener of some sort (my favorite is stevia) and another flavor such as chocolate or peanut butter, you should be good! That’s why I chose to frost the cupcakes with chocolate frosting. The frosting overpowers the bitterness of the quinoa flour. My dad said that he would definitely reach for another cupcake, but if it was served without the frosting, he probably wouldn’t grab a second serving. 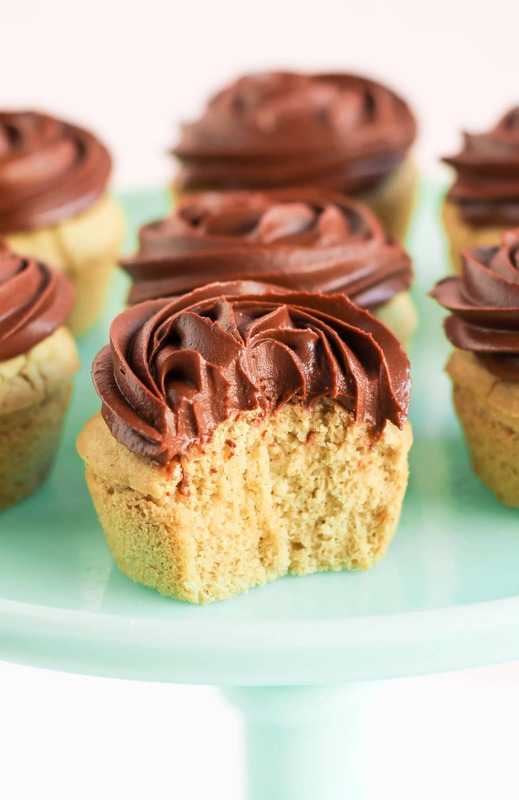 If you hate quinoa, these cupcakes probably aren’t for you. But if you love quinoa, you will adore these! These Vanilla Quinoa Cupcakes are super fluffy, springy, and moist. 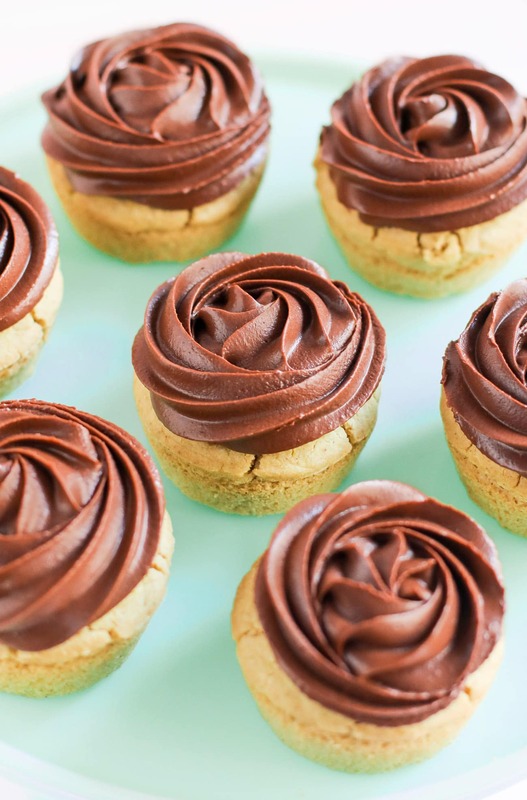 Top it with some healthy frosting and you’ve got the most nutritious, guilt-free treat ever! 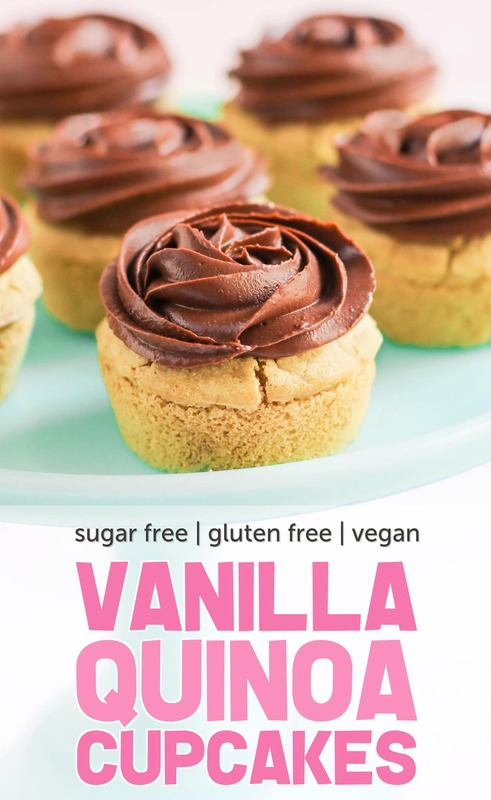 These Vanilla Quinoa Cupcakes are super fluffy, springy, and moist, yet they're gluten free, vegan, sugar free, and low fat too! Top it with some healthy frosting and you've got the most nutritious, guilt-free treat ever! In a large bowl, whisk together the yogurt, milk, vanilla paste, stevia, and butter flavor. I frosted my cupcakes with the Healthy Chocolate Frosting from my Naughty or Nice Cookbook. I also have a ton of frosting recipes here on the blog! Mhmm, these cupcakes look amazing!! Thanks so much for sharing! Have you tried toasting the quinoa flour? I made some banana bread with quinoa flour and after toasting it, there was absolutely no bitter taste. I have not tried toasting quinoa flour but I HAVE toasted quinoa seeds. 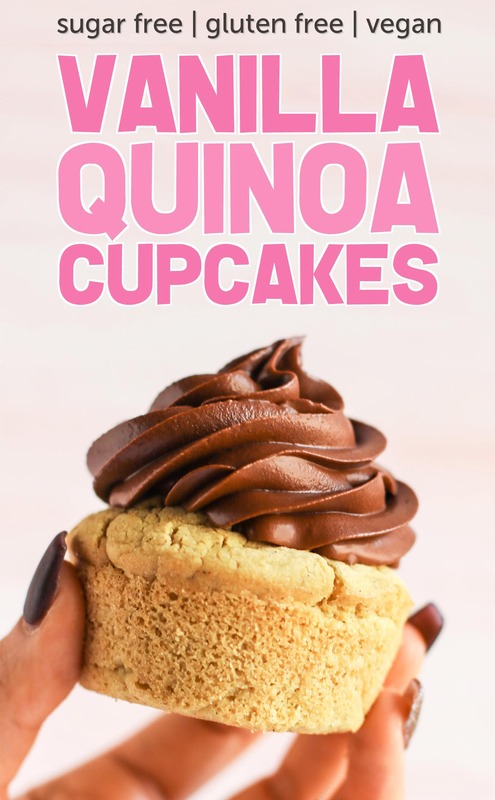 The quinoa started to smell like peanut butter, so I’m not sure if that would go so well in these cupcakes, but I’ll definitely try it in a banana bread, that’s a great idea! Is there any substitution for the yogurt? I’m afraid not — the yogurt adds bulk, moisture, texture and flavor. I swear you were born with magic in your baking hands. 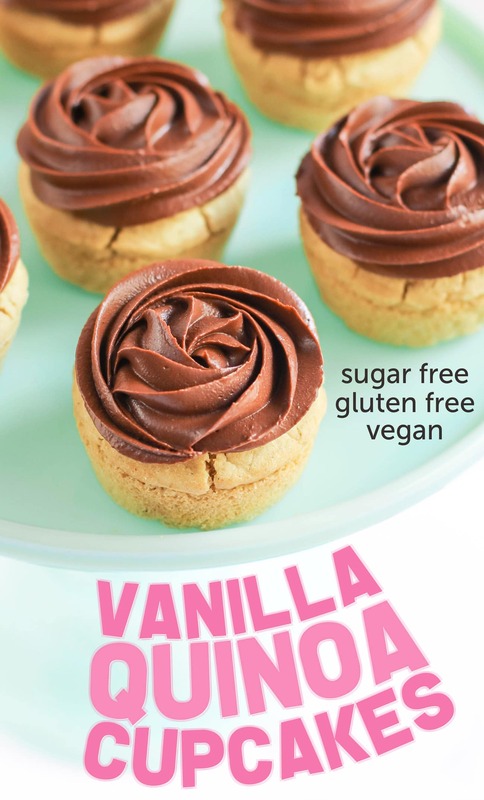 The way you can take an obscure ingredient like quinoa flour and turn it into these delightful looking cupcakes?! Kudos to you, girl. They do sounds amazing!